Vermont has some of the highest quality turkey hunting in New England. The overall population is much smaller than, say, New York's, but then, so is the total land area. There is a two-bird limit in Vermont (both can be taken in one day), and fairly priced licenses. Public land is abundant, and private land access can often be negotiated. Despite misperceptions by some of those outside the New England region, this is truly a hunter-friendly state. Trends for registered bearded birds (required here) show stable kill numbers between 2007-2010, and just beyond, with a slight drop-off in recent years, as in neighboring New York. Where should you hunt? Geographically, the Connecticut River Region (Vermont/New Hampshire border); southwestern Vermont (bordering New York); and central Vermont consistently hold the most birds. 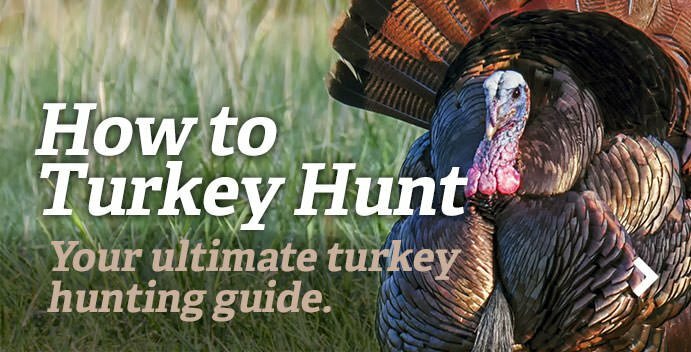 Addison, Caledonia, Franklin, Orange, Rutland and Windsor counties often claim the most registered spring turkeys. Want a low-pressure hunt with lots of room? The Green Mountain National Forest, with more than 400,000 acres and the largest tract of contiguous Vermont public land, is open to hunting. On a personal note, I've turkey hunted Vermont for decades, both spring and fall. Some of my favorite turkey hunting memories are based in the state. Hardwood ridges. Rolling, green pastures. What's not to like? Historical Fact: As with many northern turkey hunting states, trap-and-transfer efforts have established huntable flocks here. According to the Vermont Fish & Wildlife Department, turkeys were extirpated by the mid-1800s. In 1969 and 1970, the state's wildlife biologists live-trapped 31 New York wild turkeys and released them in Pawlet and Hubbardton. Vermont now has wild turkeys in most regions of the state.